This is some of what I’ve come to understand about the components of speaking truth out loud. 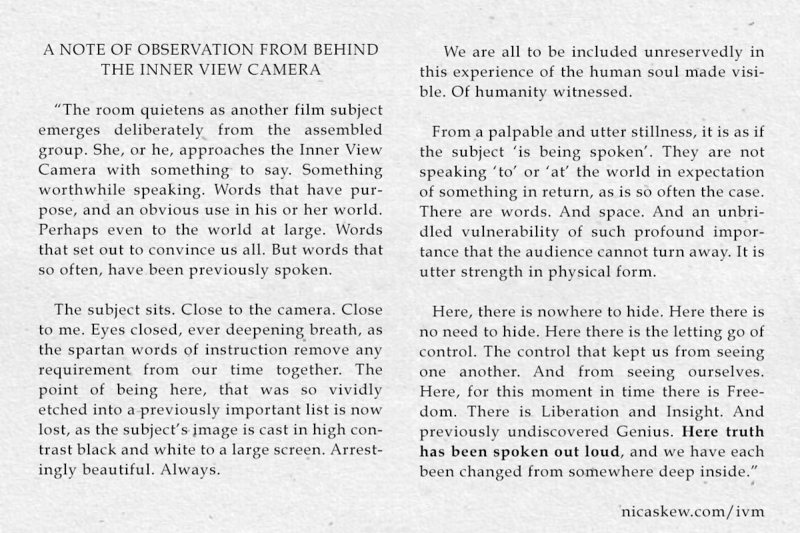 These few words point to the stark difference between ‘speaking to, or at’ the world with the expectation of something in return, and ‘being spoken’. I have also come to understand that is my work, and the very reason I was compelled to pick up the camera those many years ago.